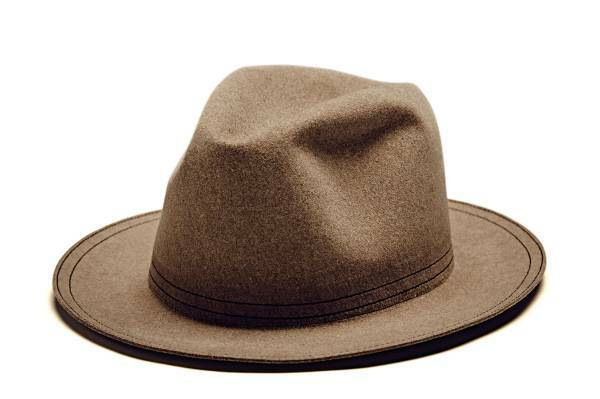 Its round form is classical, its materials are high-class: the gentleman’s hat is a creative jewel. It was handmade using premium-grade felt and traditional methods. The inner band is inspired by the leather of the premium upholstery used in the MINI Clubman, while the colourful double seam takes its cue from another characteristic MINI element. The SuperDuper label is known for combining traditional millinery with modern design and striking details. It was founded in Florence in 2011 by Ilaria Cornacchini, Veronica Cornacchini and Matteo Gioli. TYG Spectacles: the gentleman’s shades. Sunglasses are an indispensable asset for the gentleman. This pair combines high-grade acetate with brushed metal for an individual, elegantly sporty touch. Their elliptical form and minimalist design reflect design features of the new MINI Clubman. 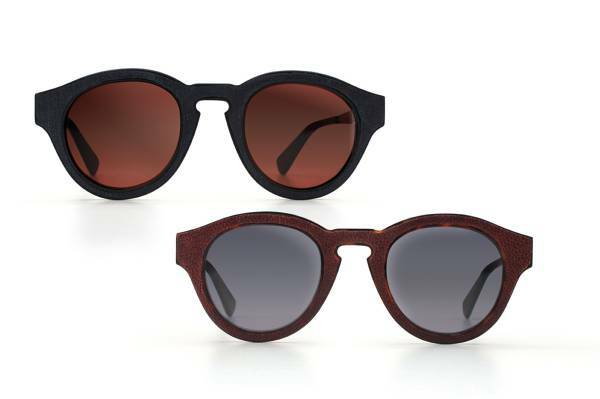 The abbreviation TYG stands for “Three young Gentlemen”, referring to the three founders of this Italian eyewear label. All of them have their own individual style but share the same vision: to create premium sunglasses that are both timeless and reflective of the times. They are made exclusively with hand-finished materials from the tradition-swathed company Mazzucchelli Varese and high-grade lenses by Carl Zeiss Vision. 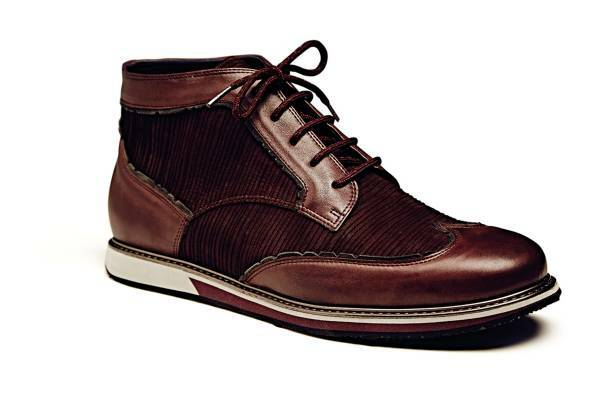 Alberto Premi: the gentleman’s shoes. The shoes in the MINI Gentleman’s Collection are urban yet elegant. They are made of the finest hand-cut upper leather combined with a modern, ultralight micro sole. For Alberto Premi, making shoes is in the genes – his father has been a shoe designer for more than 30 years. With his background knowledge of the shoemaker’s trade, Premi – like MINI – espouses innovative materials, unconventional colour combinations and special details. It’s a sure recipe for success: at the 87th Pitti Uomo in January 2015, MINI and Pitti voted him the most talented young designer. 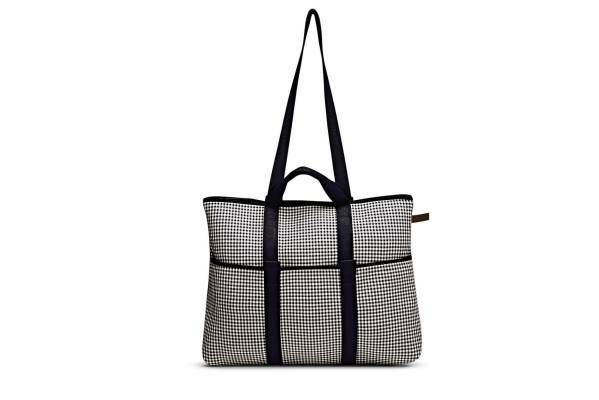 “Stylish flexibility” is probably the best epithet for the bag, created this year to celebrate the MINI Gentleman’s Collection. It can be used as a backpack, briefcase or shoulder bag. Its clever inner bag system, just like the new MINI Clubman, offers maximum storage space. Notebook, smartphone or sunglasses – everything has its own place. And everything is well protected thanks to the use of neoprene as the base material for the fashionable upper fabric. Pijama was set up in 2006 by fashion designer Monica Battistella and architect Sergio Gobbi. Their trademark is neoprene combined with a wide range of textiles. Paola Bottai: the gentleman’s fragrance. 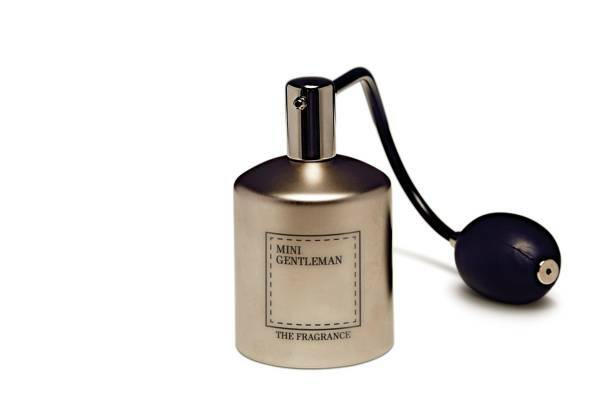 “Classy, cosmopolitan and a little mysterious” is how Italian perfumer Paola Bottai describes the fragrance in the MINI Gentleman’s Collection. It contains woody notes but also spices that evoke distant lands – because the MINI gentleman, says Bottai, “lets details speak for themselves”. Paola Bottai specialises in men’s fragrances and has always been fascinated by the world of smell. She learnt her trade in the capital of perfumers, at the Institute of Perfumery in Grasse, southern France. Since then she has created character-laden scents for a diversity of products, from classic perfumes to beard conditioners. Proraso: the gentleman’s shaving kit. Using a cutthroat razor is the oldest and arguably most demanding method of shaving – and second nature to any gentleman. Facial grooming takes on a particularly stylish note with the vintage barber-look shaving kit from the MINI Gentleman’s Collection, consisting of a classic shaving brush, pre-shaving cream, shaving cream and aftershave balm. The kit’s packaging was designed by Italian illustrator Pietro Nicolaucich. Products from the Florence-based Proraso brand are wet-shave classics. For more than 70 years the Italian company has guarded its eucalyptus oil-based quality formula like a treasure. Proraso products are reputed to guarantee a gentle and thorough shave. Pietro Nicolaucich primarily uses crayons and watercolours in his work and boasts clients such as Moschino, Sisley, Benetton, Etnies and Nike. 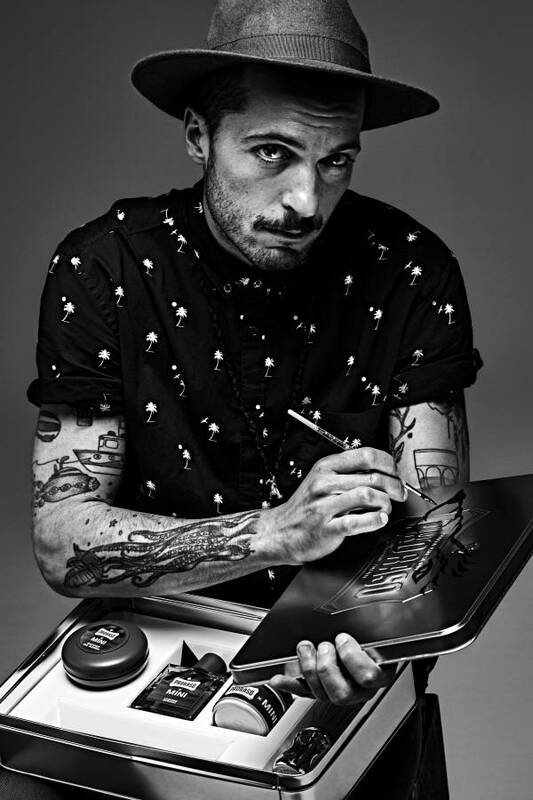 He is known for his anthropomorphic animal illustrations, and on the Proraso x MINI Shaving Kit he designed they sport gentleman-like details such as pipes and moustaches. The Pitti Immagine is an annual trade fair held in Italy that focuses on fashion. The Pitti Uomo, a menswear show, has been staged in Florence twice a year since 1972. It promotes young, aspiring and occasionally unconventional fashion labels. The partnership between MINI and Pitti Immagine, which embraces a range of projects, was launched in January 2015. At the 87th Pitti Uomo, for example, MINI and Pitti jointly awarded the most talented young designer accolade to Alberto Premi, who went on to present his innovative shoe collection in a Special MINI Edition at the Salone del Mobile in April 2015.